The new 32-bit CPU provides functions normally present only on coin change machines of higher range and price, such as importing/exporting configuration parameters, exporting accounting data and the useful function of machine cloning. 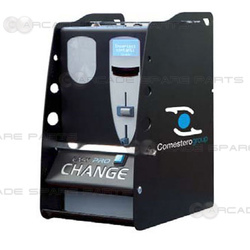 The reinforced closing mechanisms and the new anti-theft and split-hypenated protection devices make the Easy Change PRO one of the most secure change machines on the market with respect to attempts of tampering and fraud. Fitting perfectly in everyday environments, such as shopping centres, gyms, airports, stations, arcades, offices, bars and Internet cafés, the Change Machine Easy PRO maintains its reduced size yet boasts an exceptional coin capacity thanks to the extension applied to its dispenser. Connection of peripherals via ccTalk. Distribution of coins and tokens. Coins/tokens dispensed automatically or manually. 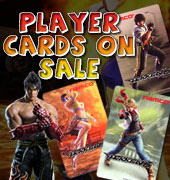 New 32-bit CPU with SD card. Exporting of accounting data and importing of configuration parameters via SD card. A special cover for the dispenser's extension prevents coins from falling out in the event that the machine is tipped over. Installation: wall mounted (with the Easy UP kit); countertop; wall mounted, by means of 3 anchoring bolts to be inserted at the back of the device; free standing on special base (optional). Holes in the cabinet for fastening the unit to other machines or to external structures such as columns or pillars. Internal on/off controls to prevent tampering. Pivoting door to facilitate dispenser-loading and cash box removal operations.